The Ramen Monsters strikes again! 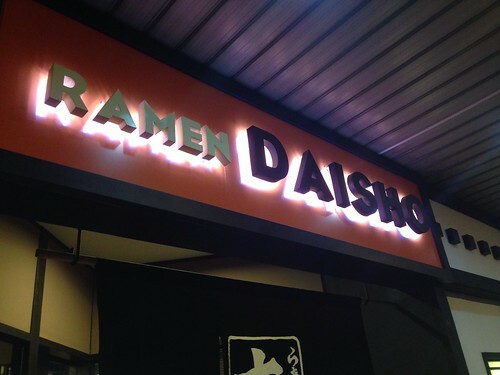 I've been seeing this new ramen place, Ramen Daisho, every time I Shaw for the past few weeks. Then I also saw some photos in my IG feed, I got even more interested. 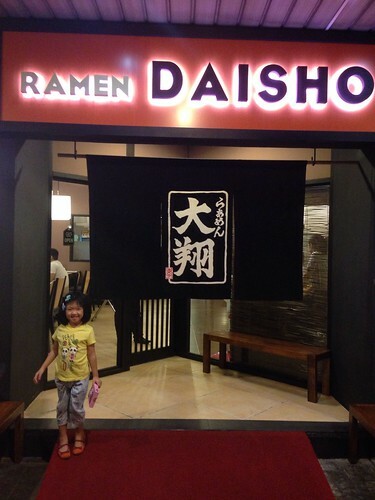 After a playdate two weeks ago, we had dinner at Ramen Daisho! The place was full when we ate, which is a good sign, so we were seated at the private section which I think can be used for functions. It's a bit cramped though. They didn't have high chairs but they provide booster seats for babies and toddlers which is great! Their menu is straight to the point. Just one big laminated menu, no frills. 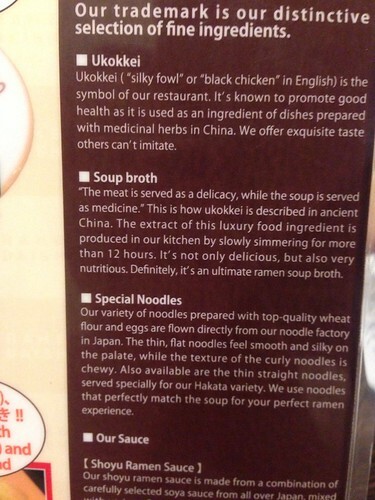 I like it when they put the story behind the ramen, their ingredients, etc. We ordered two bowls of ramen and we just shared to our kids. BOS and I both agreed that it's good but it's not the best. The broth is milky and creamy. The chasu is a bit bland (BOS likes it tasty). I like my ramen broth to be rich and creamy! The one that will make you order a can of soda. Hihihi! 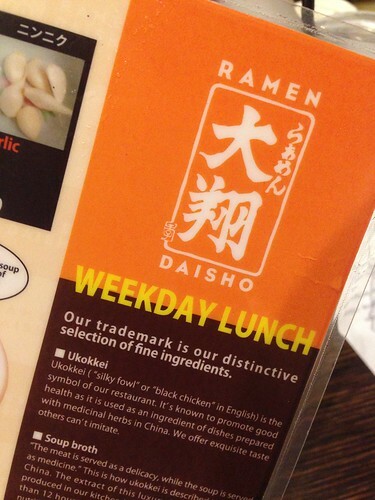 Ramen Daisho uses chicken broth for their ramen, so maybe that's why the taste is "lighter". Well, iba iba naman ang taste natin right? The photo above got the most comments and discussion on my IG. 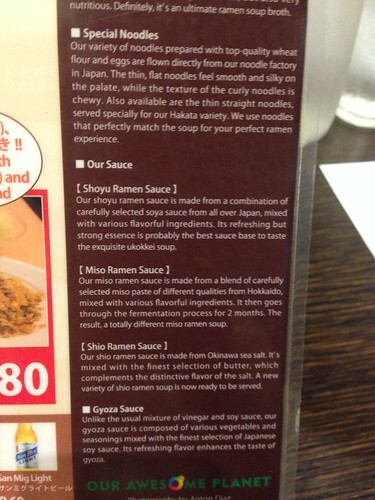 A lot of my followers also love ramen! If you prefer the less oily, rich ramen. I think this is the "just right" ramen. 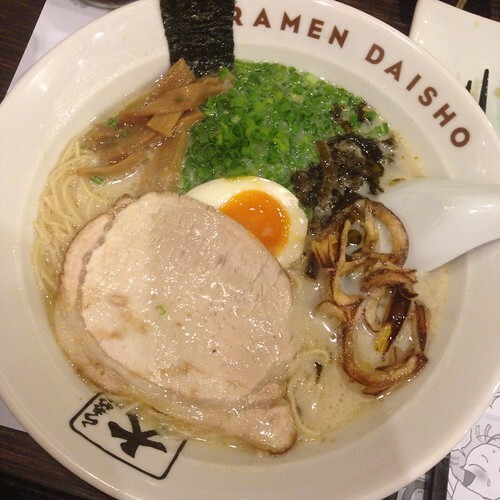 I suggest you try Ramen Daisho! My daughter, the princess of ramen, likes ramen as long as there is egg and naruto. Hehe!